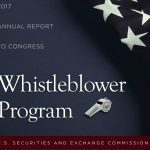 The SEC Whistleblower program will only pay rewards based on information regarding suspected violations of federal securities laws. Although most professionals are probably familiar with these laws, investors and other potential whistleblowers may not be. So we decided to create a brief overview of the leading securities laws. The SEC whistleblower program also pays rewards for violations of rules and regulations developed by the SEC pursuant to these laws. The Securities Act sets forth the registration and offering process for selling securities to the public. It requires investors receive a great deal of information about securities offered for public sale and prohibits misrepresentations and other fraud in the sale of securities. The Exchange Act provides for SEC regulation of the securities industry, including prohibitions on market manipulation, deceptive devices, and insider trading. It also gives the SEC the power to require financial reporting by publicly traded companies. The ’40 Act regulates mutual funds and other investment companies. It also regulates Exchange Traded Funds (developed recently) when they are structured as open-end funds or unit investment trusts. The Advisers Act requires the registration of Investment Advisers and imposes on them a fiduciary duty to act in the best interests of their clients. In order to fulfill this obligation, there must be full and fair disclosure of all material facts to the adviser’s engagement and the disclosure of any conflicts of interest. The FCPA made it illegal for U.S. issuers (listed on a U.S. exchange and subject to reporting requirements), U.S. persons (corporations or citizens), and individuals located in the United States from offering or paying remuneration to foreign officials. 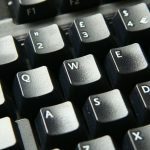 Because cases of corruption can be hard to prove, it also made illegal the failure to keep reasonably accurate books and records as well as the failure to maintain a sufficient system of internal accounting controls. SOX was signed into law by President Bush to enhance corporate financial disclosures and combat accounting fraud. As the dot-com bubble burst, investors learned about accounting scandals at Enron, WorldCom and other publicly traded corporations. The law, among other things, required (1) the creation of internal controls; and (2) senior management to certify the accuracy of financial statements. It also provided whistleblowers protection against retaliation. The Dodd-Frank Wall Street and Consumer Protection Act was signed into law by President Obama in 2010 following the financial crisis that ran from 2007 to 2009. It enhanced regulation of swaps, credit rating agencies, and many other aspects of the U.S. financial system. It also created the SEC whistleblower program.